but this is also helpful for those who get a broken buttercream upon mixing the First Time!! 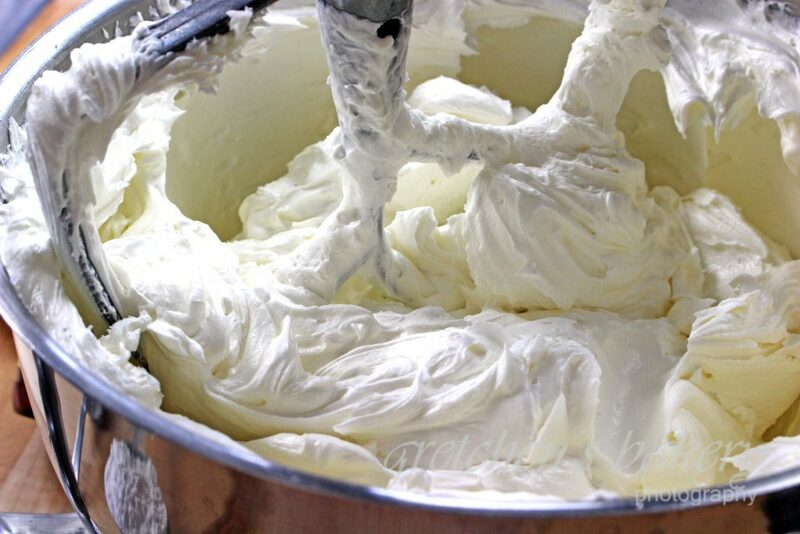 Several reasons can cause a buttercream to break, but the most common one is due to temperature. If you are trying to remix your buttercream straight out of the refrigerator chances are you are going to have a broken, curdled mess in your bowl. Here is a way to combat the curdle, or avoid it altogether! Oh yeah and a blowtorch helps! The following video is from my Aquafaba Swiss Buttercream recipe where I actually show you first hand what happens when the buttercream breks upon mixing. This can be due to several reason, but the most common again, is temperature. The temperature of hte butter going into the meringue is just as important as the temperature of the meringue before adding the butter. You want oto be sure your butter is soft but not soupy, melty or greasy. So it should be soft to the touch but still a bit firm, if that makes sense? The meringue must be cooled (which is not problem here in this method because I refrigerate the aquafaba sugar mixture to cold before whipping, so this will not be an issue unlike traditional style swiss meringue made with egg whites. Another big reason for buttercream failure is adding the butter too fast or in too large a quantity at a time. Which is what I simulate in the video. It is better to add the buttercream in 1 Tbs sized chunks and you can add them rapidly when they are that size. If you still have breakage, don’t panic watch the video below to see how to come out of it! Thanks for your wonderful video on re-whipping buttercream!!! How do you not get the ‘grittiness’? I whip the butter until it is pale and creamy – then add pure icing sugar a little at a time – but still it is gritty in your mouth. Thanks! and you are welcome too! I have found the brand of sugar is important to find on that is not gritty. I do well with Domino brand and I sift it two times before adding it to the recipe. For those who are sensitive to the slightest hint of grit, may gravitate towards a swiss buttercream since the sugar is dissolved in the first step, and you can also omit the confectioners sugar to ensure there is not grittiness to that recipe either. I just have to say it, I love you! And thank you for sharing your knowledge and talent! Would whipping the butter prior to adding it to the meringue be helpful with preventing the mixture from breaking up, or would it make it worse because the butter would be less cold? Also, can maple syrup and or rice syrup be substituted for some of the sugars? I try to use the least processed ingredients and less sweeteners in my baking. what should be the actual room temp and shortening and meringue temp for RIGHT BEFORE mixing them together? i’ve tried all the above ideas but still get a broken buttercream. thank you. I got your book for Christmas and was excited about the flax mucilage as my son has a legume allergy and we can’t do Aquafaba. I tried to make this frosting and got the aquaflaxa to whip up to glossy, stuff peaks. Not surprisingly once I added the Earth Balance Soy Free butter (in 1 T increments), the frosting broke. So, I watched the videos and kept whipping it on high in my KitchenAid and 20 minutes later it was still not emulsified. I’d call it more like soft marshmallow fluff. I used Spectrum Organic palm oil shortening. This has happened to me before when I tried to veganize a cooked flour frosting but I chalked it up to using the EB and Spectrum. You’ve probably put all of your tricks into your videos but I figured I’d ask anyway as I really want to make this work for my kid. I’ve successfully made non-vegan Swiss buttercream before but emulsified vegan frosting is apparently my Everest. Hi Thank you for the support and buying my book! Yes you are right about the Spectrum, I do not use that anymore since it is just too soft and super UN stable! The whole point of shortening in the first place is for stability, so why bother putting something into a recipe that is just going to make is NOT stable!? I have resorted back to crisco for the shortening, since it is the most stable and makes it really great for piping and decorating and holding up in all temps. Hey Gretchen, I attempted the Italian meringue buttercream recipe but it just turned into soup. No amount of mixing was able to save this mixture. I made sure the syrup was added slowly and the meringue was cool before adding the butter. Where did I go wrong here? I’ve made traditional IMB so I’m familiar with the process, I’ve just never had this experience before. Hi Im sorry this happened to you, I am sure you watched the video for this post – since you are posting here I assume you found your way because of this. The vegan butter definitely is more troublesome than regular butter and I find that it will almost always “break” when mixing it in versus regular buttercream which is much more forgiving. The type of vegan butter you are using may be a factor since they are essentially oils after all, and they vary in moisture contents. This could be a reason your failed and did not come back, however I find that even the worst ones can come back when continuing to whip for a few minutes after the disaster occurs!